A predominantly Muslim country might be one of the last places you would expect produces wine—good wine, in fact—but Turkey has been resurrecting their very ancient (allegedly between 7000 – 15,000 years-old) wine traditions over the past few decades, making significant strides in quality in recent years. Thus, the arrival of Vinkara to NYC, a winery founded ten years ago and largely focused on the indigenous varieties of the country, couldn’t be timelier–very soon, foreigners may be the only ones buying Turkish wine. Back home, the Turkish government, led by President Abdullah Gül, seems set on passing increasingly restrictive alcohol laws to protect the nation’s youth from the “evils of drinking” and stop a nation’s alcohol consumption that hovers at a mere 1.5 liters per person annually (compared to 10.7 in the European Union, according to a 2012 Organization for Economic Co-operation and Development health study.) Sounds like a commingling of politics and ideology, no? Particularly if 83% of the country doesn’t drink? Although there are, what some might consider, not wholly unreasonable “regulations”—no alcohol sales between 10 p.m. and 6 a.m., no bottles displayed in see-through shop windows and no wine sold at restaurants and shops near schools and mosques, there is one component of the new bill that is not only vague but strikes at the core method for a winery, especially a newer one, to exist and grow—advertising. Under the new legislation, signed into law on June 10, all sorts of advertising campaigns will be completely banned–promotions, sponsored activities, festivals and free giveaways. The sole exception will be the international fairs that facilitate the global marketing of wines and other alcoholic beverages—so the rest of us depraved drunks can support the industry. Under the bill, alcohol companies would no longer be allowed to promote their brands and logos except within the facility itself. 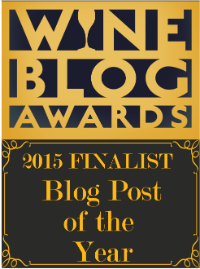 So, no winery logos on business cards? What about websites? And the punishment for violating the ban that you might know you violated is a fine ranging from 5000 to 200,000 Turkish liras or the U.S. equivalent of $2591-$103,648. Yikes. So why do we care about this? As Americans and wine lovers who have experienced our own varying degrees of alcohol regulation, much of it absurd and leftover from prohibition, I believe it is important to show solidarity with the folks overseas working within this restrictive environment while trying to resurrect native varieties. Turkish Merlot is already a tough sell, let alone trying to convince people to buy wines they can’t pronounce or spell. And if the industry doesn’t survive, most of us will never taste these fascinating grapes. Maybe that’s partly selfish motivation—if the wines stunk would we care about preserving Turkey’s vinous heritage? Well, that question need not be answered today because I sampled four of Vinkara’s wines at Corkbuzz two days ago, and they are definitely keepers. 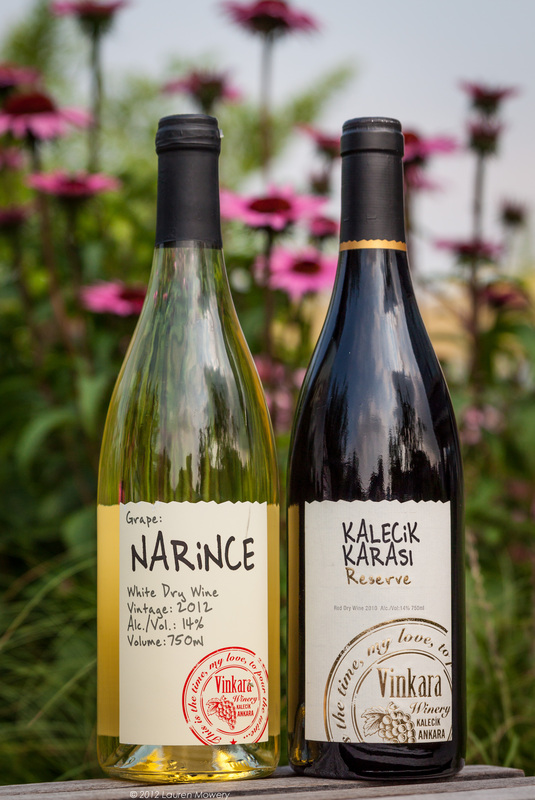 Kalecik Karasi (pronounced: Kah-le-djic-car-ah-ser with ‘er’ as in British ‘father’) is an indigenous red grape varietal originating and named after the town of Kalecik, in Central Anatolia. A close relative to Pinot Noir, the Vinkara Kalecik Karasi is medium bodied, low in tannin, fruit forward with a lively, crisp acidity. 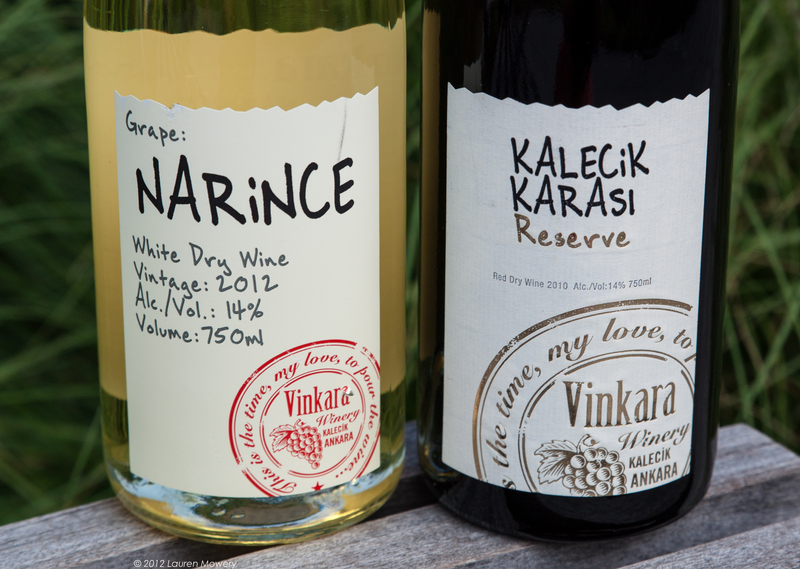 Narince (pronounced: Nah-rin-djeh meaning ‘delicately’ in Turkish) is a white grape originating from Tokat province in the Black Sea wine growing region. Out of the four wines, I preferred the un-oaked Narince 2012 and the oak-aged Kalecik Karasi Reserve 2010. (The other two wines were an oaked Narince and un-oaked Kalecik Karasi.) What I found fascinating about both bottlings was their utter familiarity—the only thing unfamiliar were the varietal names on the label. If consumers sampled them both blind in a retail store, they would not only find them delicious but would be unable to put their finger on what, just exactly, it was they were tasting. The Narince 2012 ($15.99), clean and crisp with touches of apricot and tropical fruit, had a texture similar to Viognier, reminding me of a cross between that and perhaps cooler-climate Chardonnay. The Kalecik Karasi Reserve ($25.99) had a lightness and brightness that reminded me of Pinot Noir and a fresh, fruity Gamay. Although aged in French barrels, the oak was so well-integrated, the purity of the red and blackberry fruit remained intact. 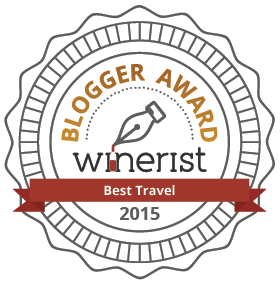 For the rest of you, try wine-searcher.com. If not available now, Vinkara is fighting for a place on your shelves, so check back periodically. 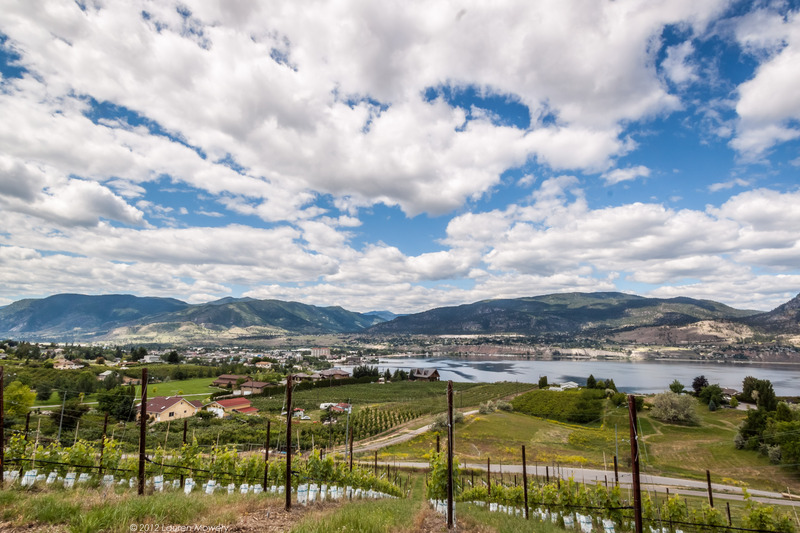 I am giving away a free trip for two to visit the beautiful wine region of the Okanagan Valley in British Columbia, Canada, compliments of the Oliver-Osoyoos Wine Assocation. First, follow my blog ChasingtheVine. 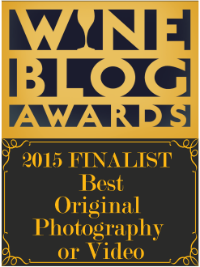 Then tweet me a photo @chasingthevine of you and a bottle of wine somewhere other than your house or a restaurant. Yes, go outside, get on your roof, show me your view. Go to a mountain, shoot it standing in a fountain. Take a bottle to the Top of the Rock or underground on the subway. The most creative location-based shot will win and be featured on my blog. Tweet to @chasingthevine and use #showmewine. Enter as frequently as you like. Contest open from Monday June 24, 2013 until Monday July 22, 2013. Winner announced that week. 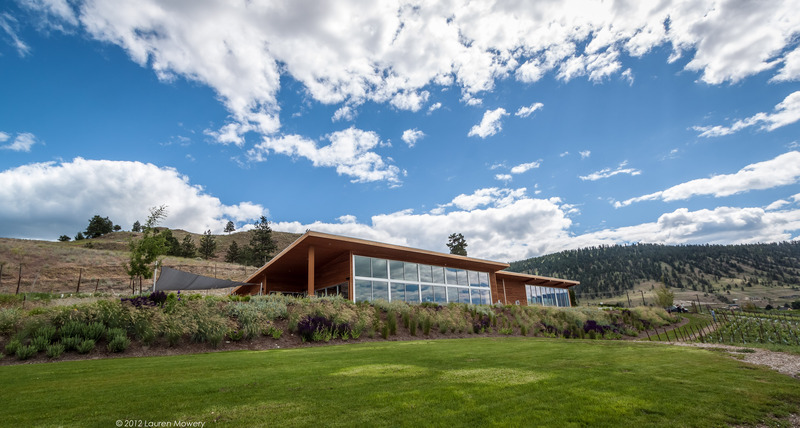 *Exact details regarding restaurants, hotel, and wineries involved will be confirmed once the Oliver-Osoyoos Wine Association knows when you plan to visit. This contest is restricted to those of eligible drinking age, who hold a valid passport (and can travel internationally), and are legally able to leave the country (sorry, but no criminal records please!) The award has no cash value, and is non-transferrable. The wheels screeched and rumbled, braking, bouncing, striking the runway. Our plane careened forward another few minutes, inertia tugging me against the seat-belt, before coasting to stop at the gate. I peered out the mini-window of the CRJ. Dirty beige plastic framed the striking scene: In the distance sat mountains, stoic, frosted in snow like sifted sugar. Tall pines painted Crayola “forest green” reached beyond my peripheral sight. Fog, stretched like a roll of gauze, gently draped the shoulders of each granitic peak. How lovely, I thought wistfully, taking a mental snapshot. If I lived in Vancouver, this view would greet me when I came home. But I live in New York City. I had just completed leg one of a long journey home from Penticton, B.C., following the close of the 2013 Wine Bloggers’ Conference. Rather than Pacific Northwest grandeur, my friendly flight-hub of Newark welcomes weary homebound travelers with glimpses of central New Jersey’s local highlights: smokestacks and power grids. But I wouldn’t see that view today. My plane landed at midnight. The trek to-and-from Penticton proved exactly as I imagined: a trek, especially for those on the East coast. Even with a major hub (Newark) and direct 6-hour service to Vancouver (United), an hour-layover followed by a quick 30-minute hop to Kelowna on a small regional plane (Air Canada), Penticton was still another hour-drive further south. Flying to London is faster. Truthfully, the travel time and sequence of connections exhausts. I endured first-time flyers holding up the security line for pocket-change; gruff stewardesses, stingy on the soda pour, refusing to give up the whole can as though protecting a baby cub. My seatmate wore a crinkly, stiff jacket the entire flight. His coat folded like origami each time he moved, scratching my skin. I scrunched my arm for relief from the itchy fabric, nearly bruising my ribs in retreat, while he smothered the armrest into submission. Sorry Mr. Emerson, but you never endured the United/Continental merger. Unless one is privileged enough to ride the Orient Express from Singapore to Thailand First Class, the joy of modern travel is no longer about the journey, it’s the destination (plus a little anticipation mixed with relief your plane landed)—so it better be good. And British Columbia is that good. The exercise in patience taxation is worth it. That view I would return a thousand times for; the mountain-fog-and-pine-tree postcard through smudged pane that greets you when plane meets earth. And knowing what lies beyond as you pick-up your luggage in a rush to break out of the airport penitentiary: pristine wilderness, genuinely genial people and the alluring wines of the Okanagan Valley. 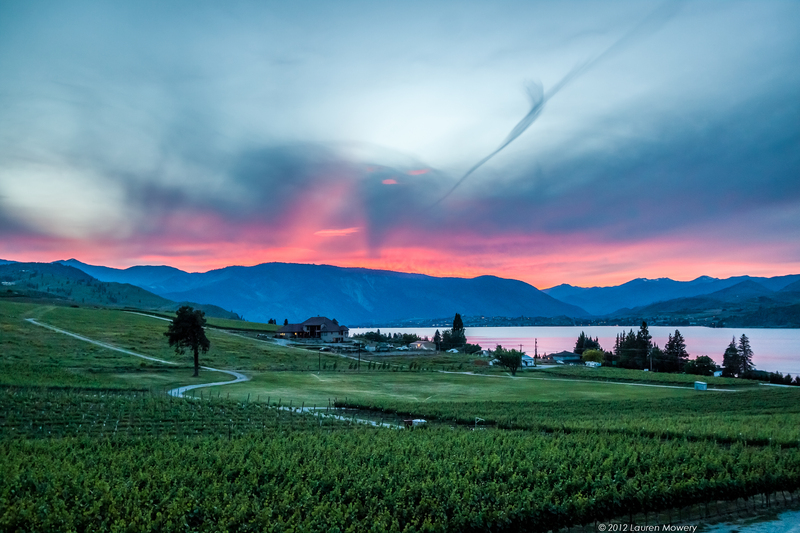 Vin du Lac winery sits perched above Lake Chelan in Washington State. This sliver of 10-year-old wine country in North-central WA puts out a handful of excellent Rieslings, Gewürztraminers and Cab Franc, amongst other varieties planted and currently being experimented with. Founder of Vin du Lac winery Larry Lehmbecker, a former lawyer (they always are), arrived with the very first wave of winemakers seeking to replicate the success of their Canadian cousins’ vineyards around Lake Okanagan. 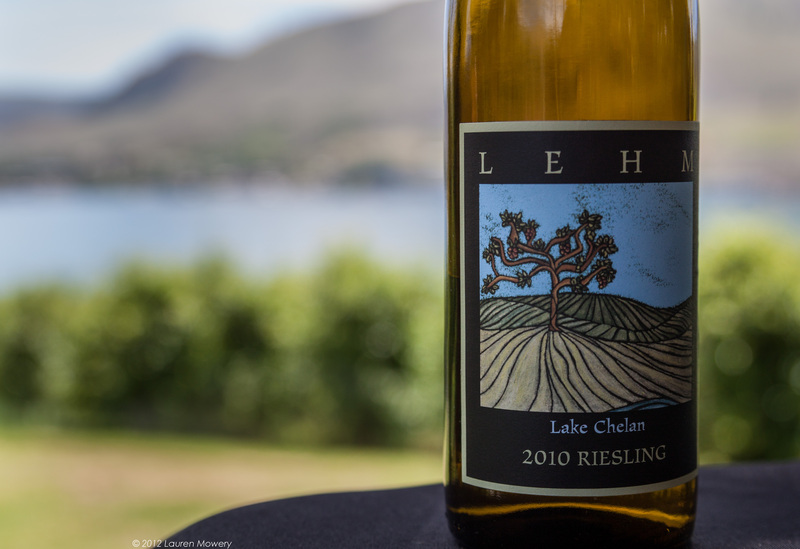 Larry decided to test the theory that great wine could be made from the sloping sites around Lake Chelan and the results are conclusive: yes. Vin du Lac 2010 LEHM: The moderately aromatic nose for a Riesling belies the burst of tropical fruit salad that washes in on each sip. Waves of juicy acidity deliver additional doses of apple, apricot and tart-lemon. Bright and refreshing, this is a perfect afternoon wine to enjoy lakeside as we did. Our companion during this tasting, a Sonoma resident and marketing director for a well-known winery, bought a case to take home. Maybe that says something. Unfortunately, this wine isn’t available in the New York market. Visit the tasting patio and pick-up in person. After a long travel day home and two fitful nights of jet lag-affected sleep, I’m marginally back on NY Time. 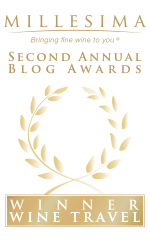 With so many thoughts, photos, and highlights to share from this year’s Wine Bloggers’ Conference, including a win for Best New Wine Blog of the Year, I know the first thing I should post is an enormous “thank you.” As a scholarship recipient this year, I definitely could not have attended without it. Between my career changes and my husband’s, trekking to the stunning countryside of Lake Chelan, Washington and the Okanagan Valley, B.C., would not have been possible; so to all the donors that supported the Conference and, consequently, my participation: Thank You! 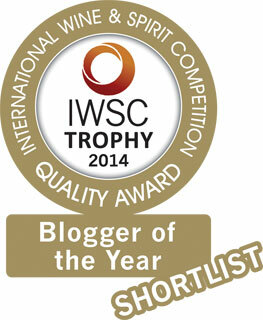 Alina Ferguson, author of wine blog One Girl, One Glass, One World. Thank you everyone and I hope to see you all next year.